To truly appreciate Chinese teas, you need to have some understanding of their culture and philosophy. Also, a bit of history surrounding each tea is good. This is one of those teas where your understanding and appreciation will be benefited by such knowledge. 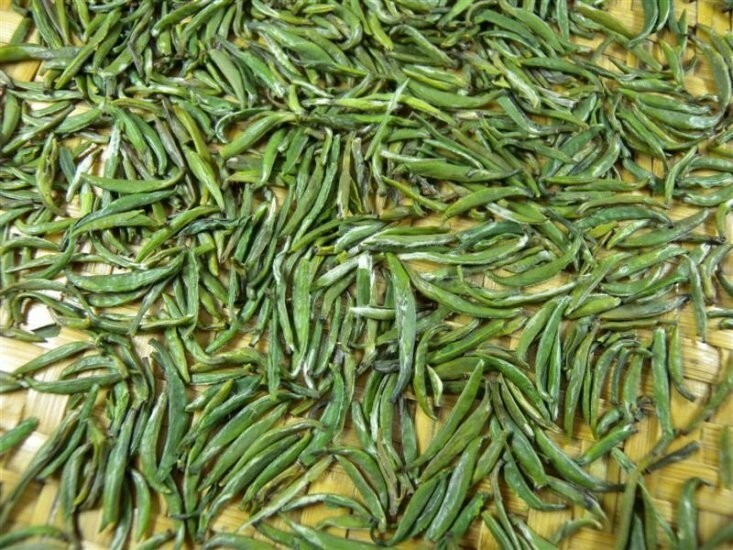 Zhu Ye Qing (“Bamboo Leaf”) tea is considered one of the top 20 teas from China. And deservedly so as you will soon see. Time to shine that spotlight! In early 1964, Marshal Chen Yi was the Foreign Minister of China. He traveled to Emei Mountain to conduct an inspection, and all of his praise went toward the tea he enjoyed while playing chess with an old monk in Wannian Temple. 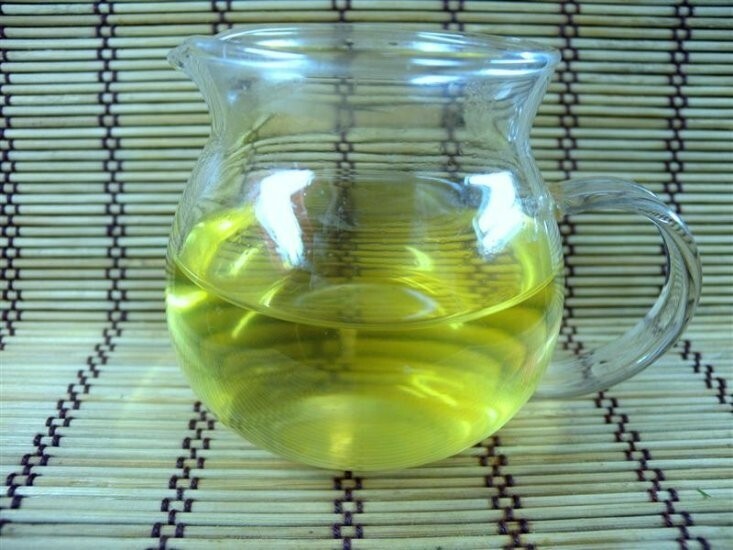 He asked the monk, “What kind of tea is this?” The reply: “That tea is the special product of Emei Mountain, without a name yet.” The monk then asked Chen Yi to name the tea. 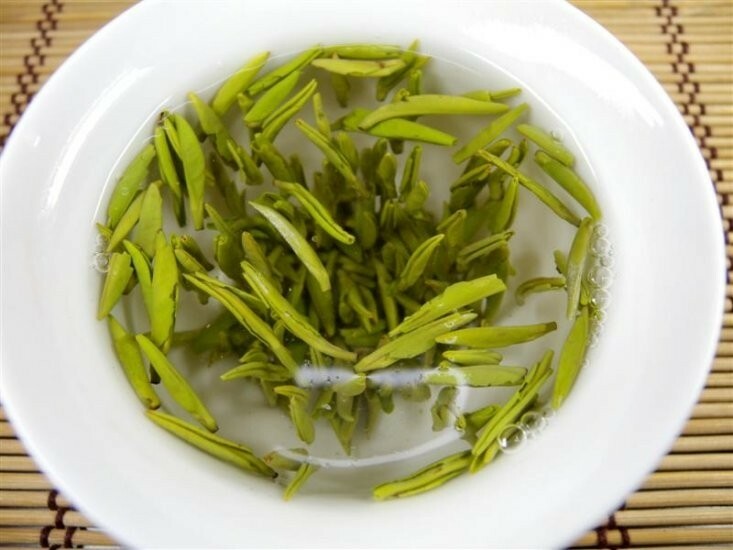 He looked carefully into the tea in cup — the clear tea liquid and the leaves that were so green and full of life. He said, “It’s really like the tender bamboo leaf, we can just call it zhu ye qing” (in phonetic Chinese “zhuyeqing”). After that Zhuyeqing became very popular, with this legendary and much-told story being added to the tea industry. Emei Mountain is a renowned Buddhist and Daoist sanctuary. The mountain is located in the basin of Sichuan Province, China. The name “Emei” means “the most beautiful mountain under heaven” and was based on the natural beauty there. Features include: several peaks, bubbling springs, cascading waterfalls, tall ancient trees, and mountain paths lined with abundant flowers and leading to the many scenic spots and temples that dot the mountainside from the base to the summit. 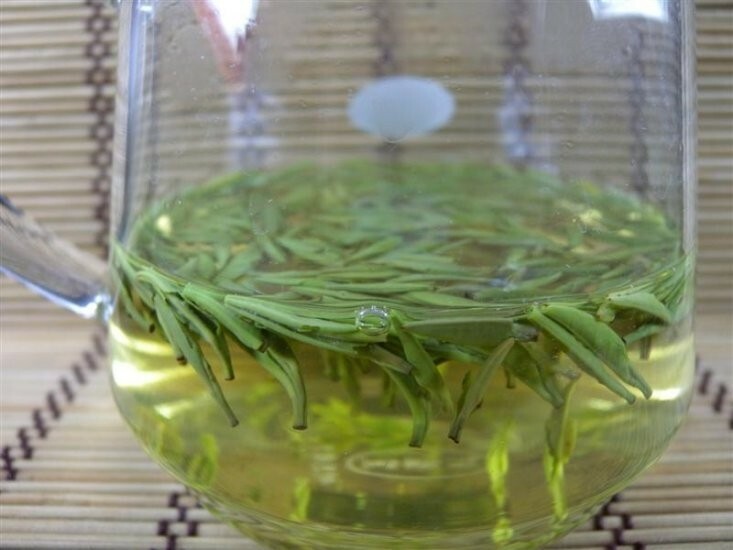 Get the full experience by using a glass cup or gaiwan for steeping. 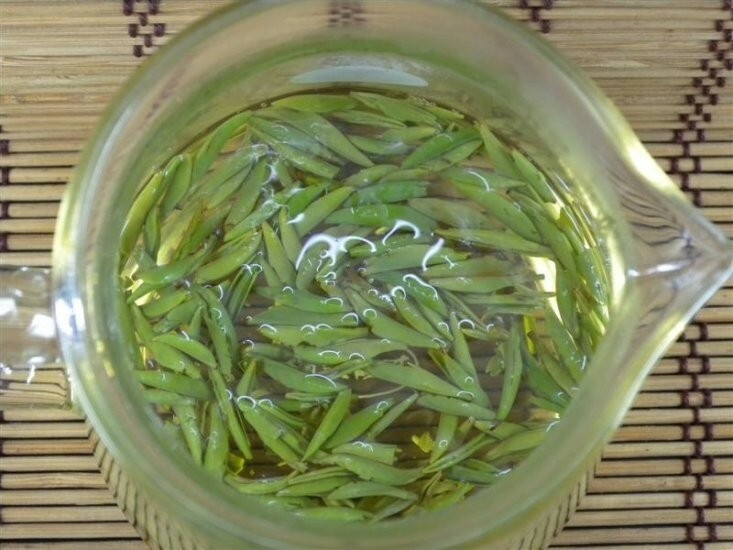 You can then view tea buds absorbing the water and becoming brighter green and plump. You are assured of a full taste by using 2 to 3 grams of tea leaves per session. First, warm up the glass cup and pour out the hot water. Then, put the dried tea in the warm cup and rotate it gently and smell the aroma. Use water heated to 85-90°C (185-194°F). Pour 1/3 of the heated water into the cup; rotate the tea leaves in the water gently for 10 seconds and smell the aroma. Finally, pour the remaining 2/3 of the heated water into the cup for the first infusion and steep for 2 to 3 minutes. Do a second infusion for 3 to 4 minutes. A third is possible if done for 4 to 5 minutes. A little time. A little knowledge. A big payoff. Get the most from your fine teas! See this great article by a fellow tea blogger who got to visit The Zhu Ye Qing Museum and Gardens in China. This entry was posted in Green Teas and tagged chinese tea, Green Teas, JAS-eTea. Bookmark the permalink.